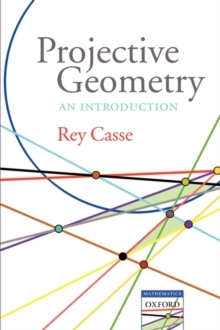 This lucid and accessible text provides an introductory guide to projective geometry, an area of mathematics concerned with the properties and invariants of geometric figures under projection. Including numerous worked examples and exercises throughout, the book covers axiomatic geometry, field planes and PG(r, F), coordinatising a projective plane, non-Desarguesian planes, conics and quadrics in PG(3, F). Assuming familiarity with linear algebra, elementary group theory, partial differentiation and finite fields, as well as some elementary coordinate geometry, this text is ideal for 3rd and 4th year mathematics undergraduates.